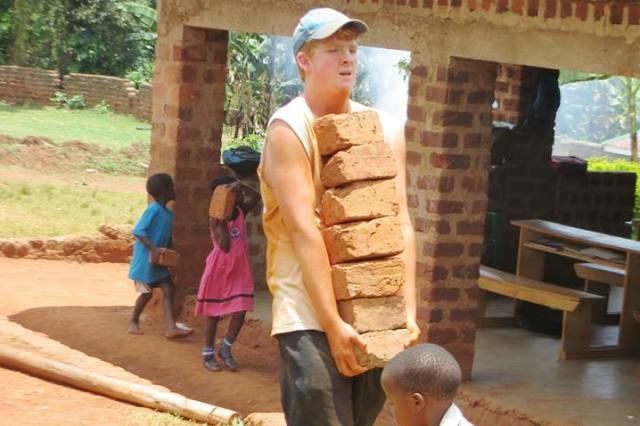 Prepare the Way Workers and Ministry Team along with the Home Community Youth Team put their hearts (and bodies too) into laying a brick foundation for the extension of King's Kids Learning Center in Sseya, Uganda. The children helped during their lunch break. Fun! Laughter! Sweat! Dirt! Awesome day!